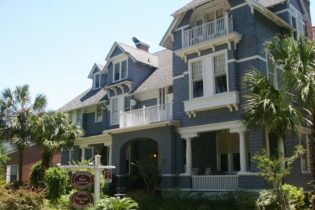 Carriage Way is an elegant Victorian Bed and Breakfast in the heart of St. Augustine, FL, the oldest city in the U.S. We are in a prime location within walking distance of all the major attractions - guests love soaking up the city's old-world charm as they stroll down the narrow streets of the Historic District. 14 modern vintage guest rooms all with en suite baths which includes the Cottage with 3 bedrooms/3 baths, living room, dining room and kitchenette-sleeps 6. Make your Spring reservation HERE. 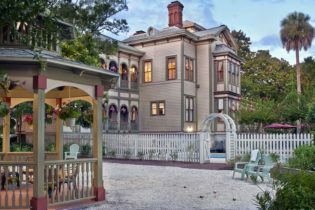 Grady House Bed & Breakfast in High Springs, Florida offers a spectacular setting of gardens and fountains - come relax and enjoy! 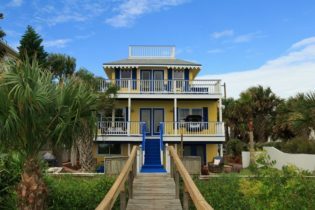 We feature five bedrooms and one private cottage, each uniquely themed - there is something for every kind of guest. At your leisure go canoeing, kayaking, tubing, or antiquing; whatever your indulgence may be. In the mornings we provide guests a scrumptious two-course breakfast that is freshly prepared along with juices, fruits, and coffee. 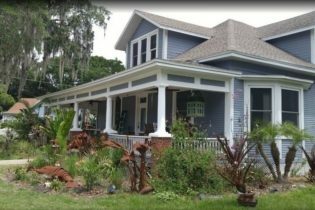 Welcome to Grady House Bed & Breakfast in High Springs, Florida! One of the major attractions at our inn is the backyard, a modern-day Garden of Eden with pathways, gazebos, plants, and a fish pond. Guests can enjoy their morning coffee or an afternoon glass of wine while strolling or sitting in the garden. After breakfast, we encourage guests to explore the quaint and friendly town of High Springs. 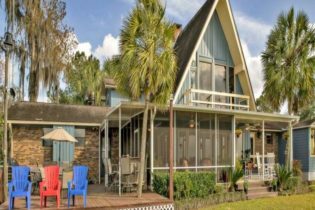 There is gift and antique shopping, several springs, and a variety of water activities to enjoy. Next door, The Wellness Spa provides guests with soothing massages and baths. 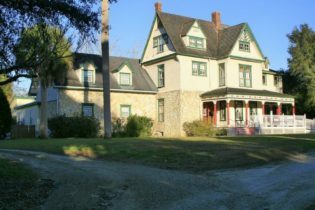 High Springs is a wonderful town to visit and we hope you will come and stay at the Grady House to experience all that High Springs has to offer. We look forward to hosting you! 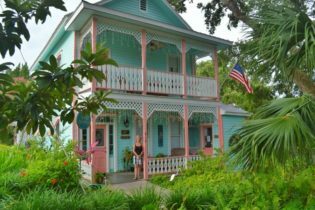 An old-fashioned romantic getaway, Hibiscus Coffee & Guesthouse is just up the street from the sugar white sands of one of America’s most beautiful beaches. 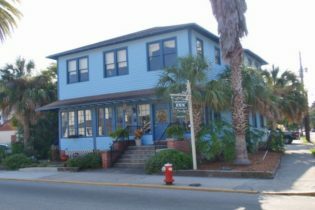 We have 13 distinctly different accommodations, all furnished and decorated with a vintage Old Florida feel. All of our rooms have a cable TV and DVD player, mini or full-sized refrigerator, microwave oven, coffee pot, iron and ironing board, private bath and WiFi. 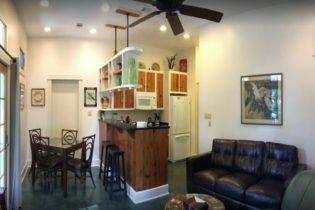 In addition to pet friendly and kid friendly rooms, two of our accommodations have full kitchens and two others share a kitchen. As always, your stay includes a wonderful breakfast every morning in our on-site restaurant, Cafe Hibiscus. We have three very different buildings on the grounds. 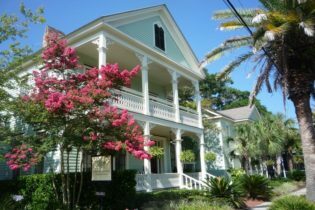 Hibiscus House is home to the Cafe and our four original guest rooms: The Turner, Magnolia and Hibiscus rooms upstairs and the pet- and kid-friendly Art Deco downstairs. The Woodpecker Cottage is just across the courtyard. Bert’s Barn, built in 1904, has 5 guest rooms. Downstairs, we have the Big Easy, which is designed to accommodate our wheelchair-using patrons, the Funky Bird which is pet-friendly and the Old Florida. Upstairs, sharing a spacious full kitchen are the Tropical Bird and Romance Rooms. We offer a discount when these two rooms are rented together. Hibiscus Flats is where you’ll find the office and our one-bedroom luxury suites, Flats Two, Three and Four. Each has a full bedroom and comes with full kitchen, washer/dryer, private balcony, king-size bed and fold out sofa-bed. Both are kid-friendly and Flat Two is also pet-friendly. If you are looking for a great place to host your wedding, reception, brunch, rehearsal dinner or other special occasion, our unique garden-style event venue, the Backyard of Love, will accommodate a gathering of up to 75 guests. Relax in the courtyard overlooking the herb garden, find a comfy table for breakfast or lunch, or sit back in one of the Adirondacks to read a good book. 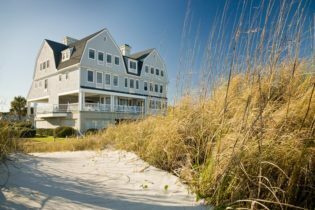 We are located in beautiful Grayton Beach where kicking back is a requirement. 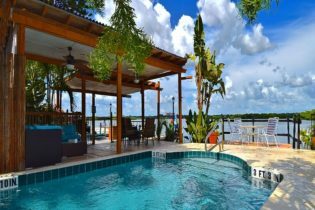 A romantic Florida bed and breakfast featuring beautiful ocean views, luxurious rooms & furnishings, located in Melbourne Beach, FL just steps to the beach! We are proud to be named the #3 Top Small Hotel in the US for 2017 by TripAdvisor! 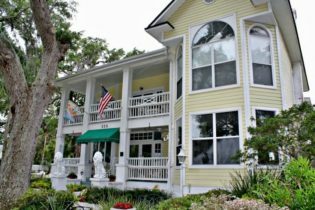 The romantic Port d’Hiver Bed and Breakfast Inn (pronounced Port deeVaire) offers old Florida luxury at its best. 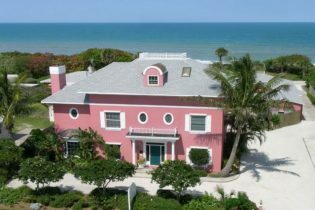 Each room at this historic Melbourne Beach bed and breakfast has a unique feel, yet all have beautiful furnishings, Peter Reed Linens, luxurious down comforters, pillows and more. 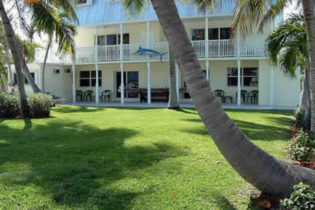 A comfortable yet elegant Florida beach B&B, situated just 200 feet from the Atlantic Ocean, this luxury Melbourne Beach inn affords guests magnificent ocean views, a bubbling spa pool, large private porches and meandering brick paths through a private estate of four Island style buildings surrounded by lush tropical landscaping. 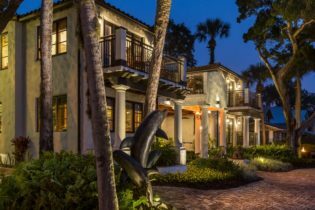 The Main house at this romantic bed and breakfast in Florida has been beautifully restored along with the carriage house. 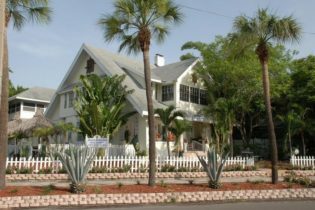 The 2 new buildings at this Melbourne, FL bed and breakfast feature Key West design with West Indies flair. 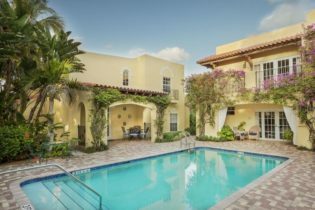 This romantic Florida getaway offers refreshments at five in the main house, full complimentary concierge services, wireless high speed Internet both inside and out, flat screen TVs, evening turn down service and the finest amenities. Port d’Hiver brings nature, history, comfort and privacy together in one luxurious setting. 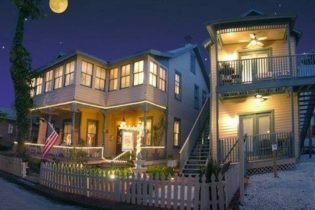 Victorian House Bed & Breakfast is a gorgeous 1895 home located in the heart of historic St. Augustine, Fl. 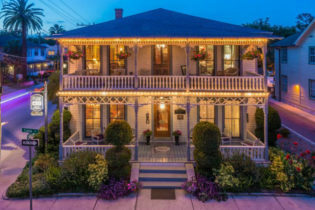 The Victorian House is the perfect setting for your small wedding, honeymoon, renewing your vows or romantic getaway. We are just 2 hours to Orlando (90 miles). 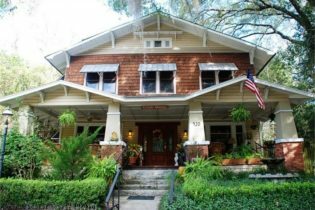 Voted one of the “Top 10 B&Bs and Guesthouses in Florida” TheGuardian.com and “Best of Jax” in Folio Weekly Voted as the Inn with the most privacy, The Victorian House Bed and Breakfast is nestled between the two oldest streets in America. Away from traffic noises, but a close walk to the Plaza de la Constitucion – the center of town – and to all the historical sites and activities. 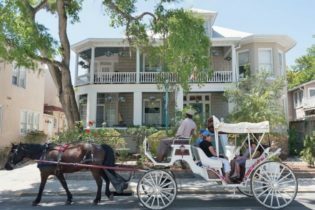 Sit on our porch, listen to the horse drawn carriages clip-clop down Aviles St. and experience the charm of Old Town in Victorian comfort. Sun-filled windows give a charming view of two of the oldest streets in America and each guest room uniquely decorated. Featured on the back cover of Bed and Breakfast USA, our Magnolia room features a queen size canopy bed and beautiful heart of pine wood floors. The private guest bathroom includes full tub and shower. These are just a few of the guestrooms that guests can choose from. 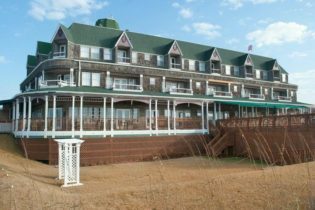 Please visit our website for additional information and to see all the guestrooms the inn has to offer. Come stay with us and let the pressures of today’s hectic lifestyle drift away. There’s a chair on the front porch waiting just for you. 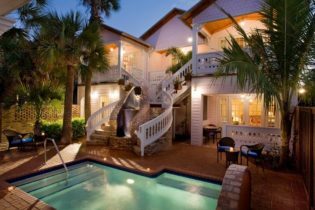 Stay and unwind with us, you will discover another reason to love Saint Augustine.